Marketing metrics are on my mind. My clients (quite rightly) challenge me all the time to “prove” that the marketing I put in place is “working”. This term I’m doing some of the “Mastering Metrics” lectures for students taking their CIM Diploma in Professional Marketing. 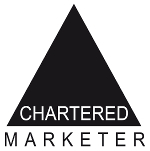 I’ve had several chats with fellow Watertight Marketing Accredited Consultants about measuring marketing. One thing comes out loud and clear: there are common mistakes that we’ve all made and that we still see people making. 1. Not bothering to measure anything. At all. If you don’t measure, how do you know how successful it has been? How do you know what is draining your resources unnecessarily? 2. Measuring the wrong things. There’s a lot that can be measured but are they the right things? Does it matter how many Twitter followers you have? Isn’t it better to measure the month on month growth in followers, rather than the actual number? 3. Not weighting what you measure. Just because it’s easy to measure, doesn’t mean it’s the most important thing. Decide, in order of relevance, which is the most important measurement. That is your key measurement to focus on – and act quickly when something goes wrong. 4. Expecting results too soon. A lot of marketing requires building up relationships and this takes time. Think about your own buyer behaviour – do you have one meeting and straightaway buy something? Unlikely. You’ll have been influenced by 100s of other things before then. Understand what each of your marketing activities is doing and give them time. 5. Not linking Marketing to business results. Most businesses exist to have more of something; customers; profit; users. Marketing has to be linked to delivering these results. 6. Blaming marketing when everything goes wrong. While marketing has to be linked to business results, if your sales start to decline or customer satisfaction is poor, marketing is not the only business function that affects these. Be fair and objective in dishing out the blame; ideally base it on a range of data and research. 7. Dismissing marketing when everything goes right. It’s easy to say “Oh, well that increase in Sales is as a result of repeat business from last year’s customers” while not understanding that marketing has made sure that the customers are reminded of the business in a positive way for most of that year. Contact me to discuss how and what you need to be measuring in your marketing. I’ll carry on my “Conversations to drive growth” series with my next blog. This was just too important not to share in the meantime.